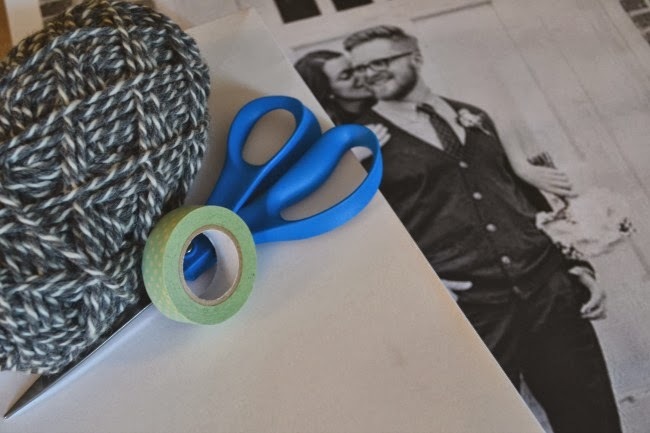 Today my friend Elise from Sunday Charm Blog is taking over. 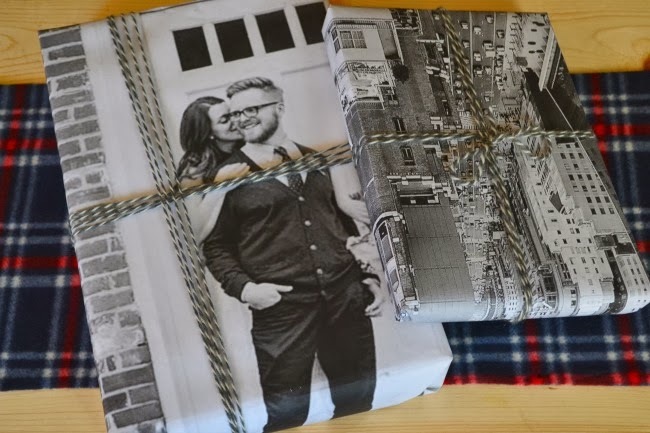 I asked her to share her gift wrap style and I must say, I'm smacking myself in the head for not thinking of this idea myself. It's so personal and fun, just like Elise. Come back the next few weeks to see more gift wrap style. Are you familiar with engineer prints? 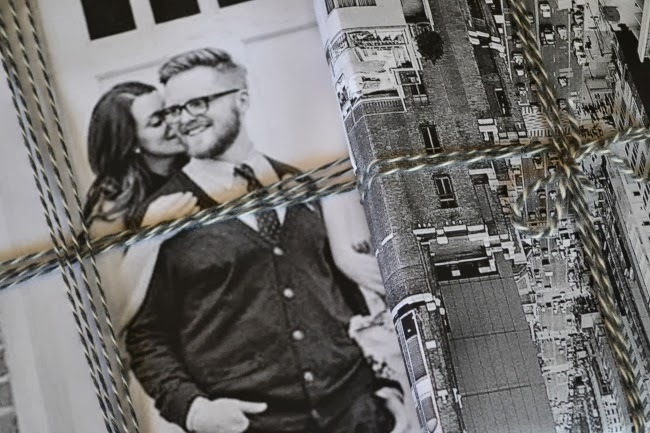 They are poster-size, black & white pictures printed on paper (not photo paper) with a matte finish at Staples. The 18 x 24 size is less than $2 per print! Staples has larger sizes available (if you are wrapping larger items). 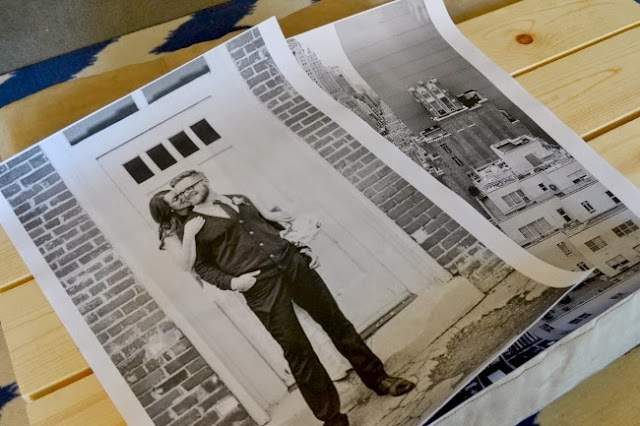 For these gifts, I printed two photos: a wedding photo for my husband's gift and a cityscape photo (via Unsplash) for my mom's gift. 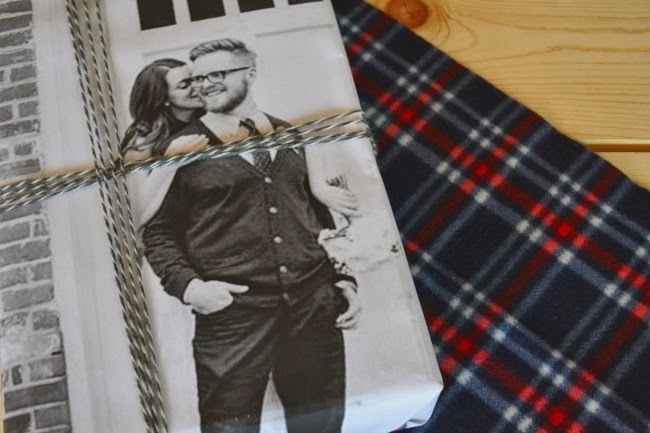 The great thing about using photos as wrapping paper: no gift tags necessary and no forgetting who the gift is for!